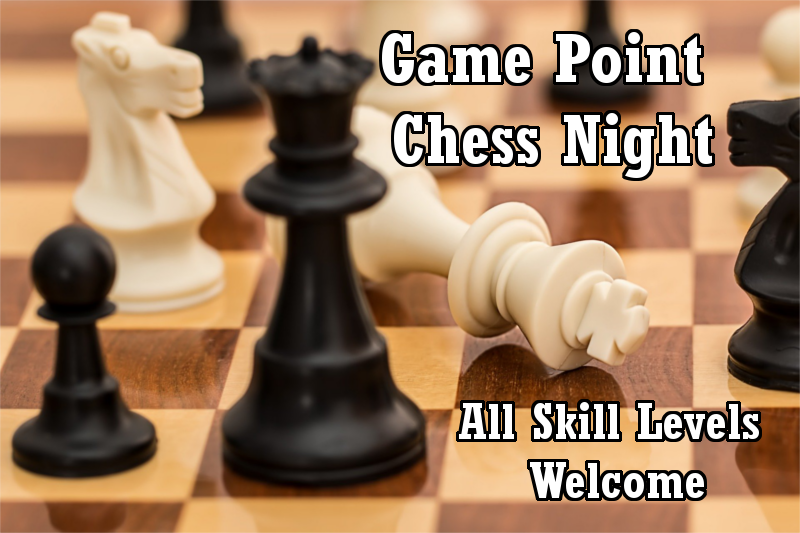 Every Wednesday night, Game Point hosts Chess Night. In addition to our usual board games, we welcome chess players of all skill levels to come out and enjoy some food and drink while playing some chess. We have several boards on hand but please feel free to bring your own set, as well. Plans include building towards quarterly tournaments and a Game Point cafe chess ladder, but first we need to build a crowd of players – so encourage your chess playing friends to come out to eat, drink and play some chess.